The kid from the future did his job. 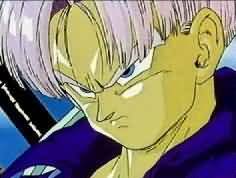 Trunks (the son of Vegeta) warned the DBZ Gang about the killer Androids that would show up in about 3 years. 3 years have come and gone. All of DBZ fighters have been training like crazy for the robots with attitudes. Trunks foretold that the Androids were supposed to KILL ALL OF THE DBZ CHARACTERS except for two of them. Only Gohan and Trunks were supposed to live. But now that they’ve been warned and trained, it is time to test their training once more. The DBZ gang has gotten themselves out of some really hard-core battles. ESSPECIALLY FRIEZA!!! But can they beat something that’s unbeatable? Like FAIT AND FUTURE!? Now the DBZ Gang has reported to South City (The city Trunks told the fighters where the Androids would show) they would show themselves around 10:00 AM. And it was now 10:00 AM. And there was STILL NOTHING NEW!!! Everything was calm and nice. No Androids…no nothing. After a while, there still wasn’t any sign of trouble. It seems that this punk kid never really came from the future…he must have been pulling on the DBZ Gang’s chain. 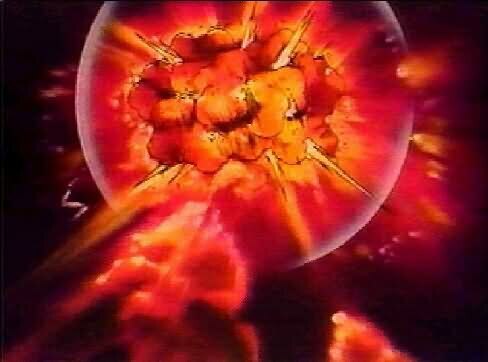 That was until later…when suddenly…THERE WAS A WILD EXPLOSION!!! The DBZ Fighters saw two flying beings. But they couldn’t feel any power levels nor life signs. Then it hit them. They realized that since they were Androids that they WEREN’T alive therefore…they couldn’t detect where they were now nor in battle!!! That was a MAJOR advantage that the Androids had against the Z Fighters. They were used to hunting down their opponents by feeling either their enemies power levels or presents. Sort of like a heat seeking missile. But now, they have to find them the “Old Fashioned Way”. Using their eyes like every other 5 Sensed person in the world! After a half an hour of no luck they finally found the two Androids. They looked human…one of them looked like an old man. The other one, like a Mime. Then Yamcha saw something on one of the Androids that scared the crud out of him!!! They had the “R&R” Symbol on their uniforms. That’s the symbol for Yamcha and Goku’s childhood enemy organization. “The Red Ribbon Army”!!! So far the DBZ Gang hadn’t stopped anything from the future. Everything was right on schedule. South City was utterly destroyed!!! And South City was a big city, which covered the whole island that it belonged to. South City was about the size of Detroit and the Androids destroyed it within a few seconds. Trunks was right…Goku’s childhood enemies had returned. And with a VENGANCE!!! Dr. Gero had created powerful Androids. After annihilating South City the Androids challenged to fight the fighters else where on a dessert range. But when Goku fought the Mime Android, Goku was defeated all too soon!!! Why!? Oh No! Trunk’s other prediction came true!!! Goku was supposed to get a deadly new disease virus BEFORE THE BATTLE!!! But now…it is attacking him during the battle! The other fighters tried to assist Goku but instead Android 20 prevented them from helping Goku. Just before the Mime Android known as 19 was about to finish off Goku…of all people…VEGETA CAME TO THE RESCUE!!! Then Vegeta did something that we and even he didn’t think that he could do! HE TRANSFORMED INTO A SUPER SAIYAN!!!!!! Vegeta had done it!!!!!! He had reached his goal!!!!!! But how!?!?!? He has been trying to turn into a Super Saiyan all of his life. And Goku and Trunks beat him to it. So how did they do it first? 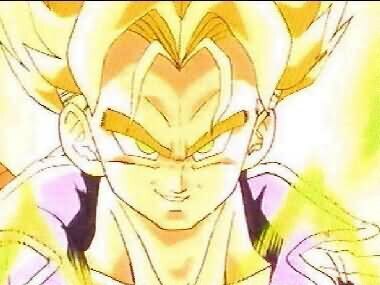 To become a Super Saiyan you need to have a need NOT A DESIRE!!! You can’t want to become a Super Saiyan, it just happens. Plus you have to be a Saiyan to be it. Usually you transform into one through special feelings and humility. Here’s a short chart on how the others became Super Saiyans. 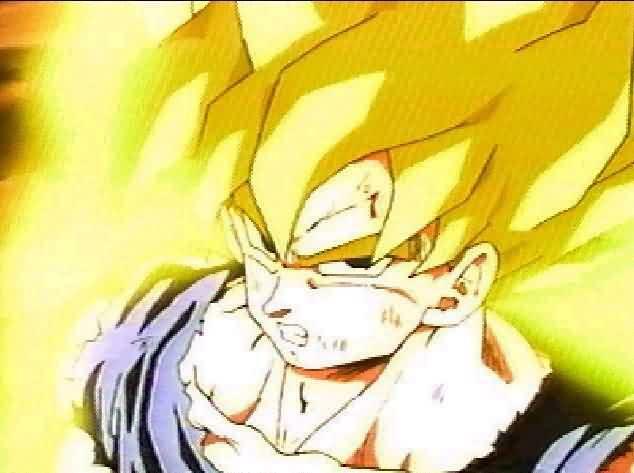 Goku: Became a Super Saiyan through his hurt feelings over the loss of his best friends lives and the hatred of Frieza. Trunks: His life was a living heck and his world has been destroyed by the Androids. His hurt feelings of all of the people killed by the Androids and of course the loss of life through the deaths of his family and friends. When the future Gohan died, Trunks had lost his best friend therefore, he once again transformed in utter rage and splendid loss. Gohan: He felt sorry for all of those times that people would rescue him out of a dangerous situation by saving his life by GIVING THEIRS!!! The best fighters have gotten Gohan out of a corner one too many times. Therefore when Gohan felt that despite the fact that he is one of the greatest fighters. He has and still has been always treated like a baby. So then he lost his temper over it and then transformed. Brolly: (You’ll hear about him later) With the rage and anger of Goku’s childhood interfering with his childhood, an enraged Brolly went into a state of a psychological pain. Troy Mouskewitz: The superb anger of his enemies and his father’s enemies. When he came face to face with the man that murdered his father he was enraged with the man. Then the man who murdered his father revealed that Troy’s mother was really alive until the week before and in which the man also killed Troy’s mother. Shocked about the fact that his mother had been alive longer than he thought and the discovery that his mother had just died when he thought that she was already dead. 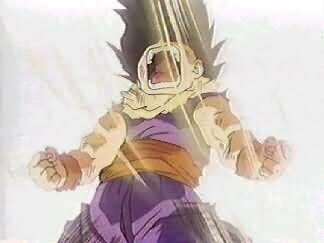 Troy lost it and TRANSFORMED INTO A SUPER SAIYAN HIMSELF!!! OH NO!!! WAIT!!! You weren’t supposed to know about that!!! See my FanFiction Story. Vegeta had been trying for his whole life to become a Super Saiyan. Yet he always kept failing. Why? Because he had too much of a desire to become a Super Saiyan. It’s like asking for fate to come to and get you. He kept on complaining about why all of the other low class Saiyans were becoming Super Saiyans while he (a high class Saiyan) wasn’t!!! Vegeta has always acted like the big hotshot fighter always being proud and punt. So Vegeta finally transformed when he finally SHUT HIS TRAP about being one. Vegeta had to change his attitude not into hate (he already has enough hate in his life ) but into humility. He had to HUMBLE himself to become a Super Saiyan!!! And so that’s what he did. When Vegeta failed at his Super Saiyan training for like the millionth time…he GAVE UP. Vegeta threw a temper and acted like a child screaming, “SCREW THE STUPID SUPER SAIYAN LEGEND!!! I DON’T CARE ANYMORE!!! I HATE ALL OF THIS I CAN’T DO IT!!! AAARRRGGGHHH!! !” KAWHOOM KABOOM!!!!!! And that’s how he did it. Vegeta: He had to humble himself during the training and had to admit that he couldn’t be the hot shot at everything. So then Vegeta saved Goku from Android 19 and destroyed Android 19 in less than 5 minutes while the other fighters were having trouble fighting the two Androids all morning. Yamcha got Goku out of the battlefield and over to where he could get a cure for the disease. Meanwhile Android 20 ran off like a coward (for a machine that’s not supposed to have feelings it sure was scared!!!) But then Vegeta’s new wife Bulma confirmed that Android 20 was really Dr. Gero HIMSELF!!! Trunks came back from the future. Or in my theory he never went back to the future but went 3 years into the future to see if the DBZ gang did their job. It turns out that the DBZ gang has failed to save South City but did manage to actually kill an Android…something that Trunks couldn’t do! But when Trunks came to see the outcome of the battle he revealed that he had never seen the Mime Android and the Old Man Android (Dr. Gero) in his time. Those were not the real Androids!!! THEY WERE DECOYS!!! Dr. Gero returned to his lab to awaken the REAL deadly Androids and make sure that they killed the rest of the DBZ gang. But when Androids 16, 17 and 18 woke up…THEY KNOCKED DR. GERO’S HEAD OFF!!! Vegeta transformed into a Super Saiyan again and fought Android 18. (the beautiful woman Android) Android 16, 17 and 18 did not run on stolen energy like 19 and 20 ran on…Android 16, 17 and 18 have INFINATE ENERGY that never gets used up. But their energy recycles itself over and over again. Therefore making them immortal!!! Android 18 toyed around with Vegeta by fighting him all over the country but when she had, had enough she easily defeated Vegeta with one kick!!! Android 17 and 18 in under 5 minutes HAD DEFEATED THE ENTIRE DBZ GANG except for Krillin!!! The future has not changed at ALL!!! The Androids STILL won a battle that they were supposed to win in Trunk’s time. Proving Einstein’s Theory that you can’t change the past even if you go back in time. It looks like it’s all over for our heroes!! !